Storage and supply chain management: How can 3D printing help your company? Additive manufacturing is obviously a great solution for proof of concept, prototyping, and even production. But there are also plenty of advantages that we are not necessarily thinking about while speaking about 3D printing. That is why, today, we want to tell you about storage and supply chain management. Discover how it could be improved, and how Sculpteo, can totally give you a hand with that! What is it changing for companies and how are they improving their supply chain? Why should you start to think about it? Let’s see how additive manufacturing can help your company. Busy warehouses: You have to find a solution! 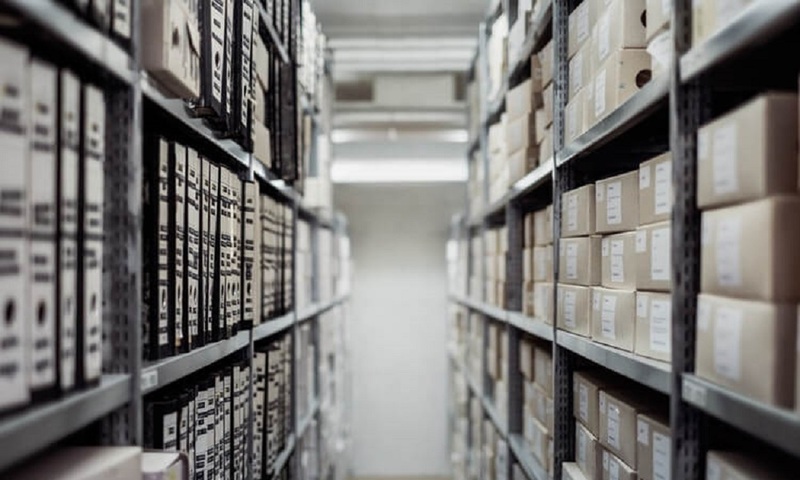 A digital inventory could change the storage and inventory system of your company. We talked about spare parts in a previous blog post and we saw the advantages of using 3D printing to manufacture them. It has an impact on the storage of a manufacturer. Indeed, getting your spare parts 3D printed will allow you to develop a new warehouse system, way more convenient for your company. Indeed, no matter what your sector is, if you are producing parts and spare parts, you will have to manufacture them and some of these spare parts will certainly wait to be needed and take a lot of this space during the years… It is even possible to have too many parts for now obsolete products that you don’t even produce anymore. A lot of companies are relying on physical inventory in order to meet aftermarket needs, but digital inventory might be the real solution. You might not think about it, but 3D printing could change a lot of things in your supply chain management! No more busy warehouse, the use of 3D printing for production can lead to a dematerialization of the supply chain. It could be the occasion to rethink the whole manufacturing process of your company and reduce tooling investment. What does digital inventory mean? This solution is simply to create your parts on-demand thanks to 3D printing. No need to store the part, you just can print them when you need them. Indeed, this cutting-edge technology is good to print low-volumes. It might even be more economical than other traditional manufacturing processes. Once you have your 3D file ready, you just have to 3D print it using an online 3D printing service like Sculpteo. This system could be used for automotive parts, medical equipment, robotics, etc. The digital inventory will simplify your supply-chain management. Whirlpool, the home appliance manufacturer, has officially decided to offer a digital catalog for spare parts. As you surely know: 3D models of your parts are taking less physical space than your actual parts, and you should totally make the most of it. No matter what your sector is, you can increase the use of 3D printing and use it for production to avoid big expensive warehouses. Here is an example with one of our customers, SpineVision. They are seeing 3D printing as a real improvement of the supply-chain. They use it to create medical implants and associated tools. The principal advantage is that they can produce on demand! Simplify your production using 3D printing? Indeed using additive manufacturing is an opportunity to work on the design of your product, it can be a simple or really complex design: everything is doable while using 3D printing, you will have a great freedom to give life to your best. You will also have a total freedom when it comes to the volume of production. With 3D printing, you can produce as many parts as you need. It is actually perfect for spare parts and small batches. 3D printing shortens the supply-chain and gives you a central role: you can choose precisely the size of your batch, do you need one or several parts? You can modify your design or make iterations with different designs. You can give life to any complex projects and almost skip assembly processes as your objects can be printed in only one part. You will have access to a wide range of 3D printing materials, from plastics to metals, and great finishings to create quality finished products. You will reduce your tooling investment and save space. This supply chain management method could help you improve your efficiency. Are you ready to improve your supply-chain management and get a better storage solution for our products? Don’t hesitate to talk about it with our sales team, who will give you an adapted solution to help you with your project. If you already have your 3D files, you can directly upload them on our online 3D printing service, you will get your printed objects in a few days! Be sure to subscribe to our newsletter to get all of our tips for your manufacturing process.